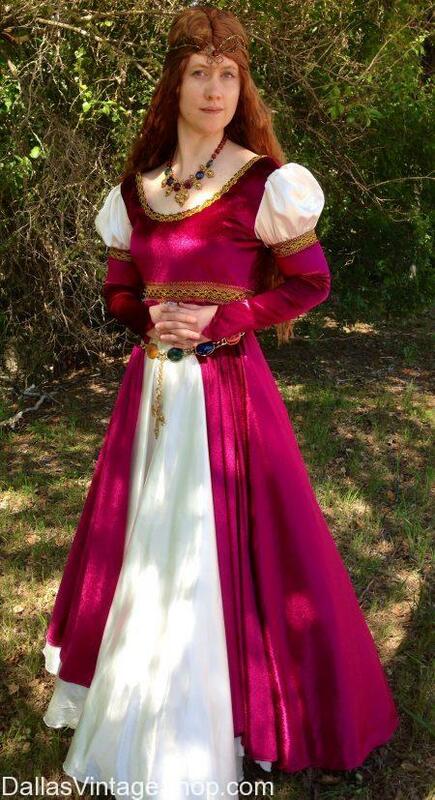 Need Renaissance Gowns for the Texas Renaissance Festival? Choose from our large selection of beautiful Renaissance gowns, wigs, necklaces, cloaks and any accessory you can think of. Be sure to allow yourself plenty of time to shop because you have many, many lovely dresses and outfits to chose from.